Students taking their first chemical engineering course plunge into the 'nuts and bolts' of mass and energy balances and often miss the broad view of what chemical engineers do. 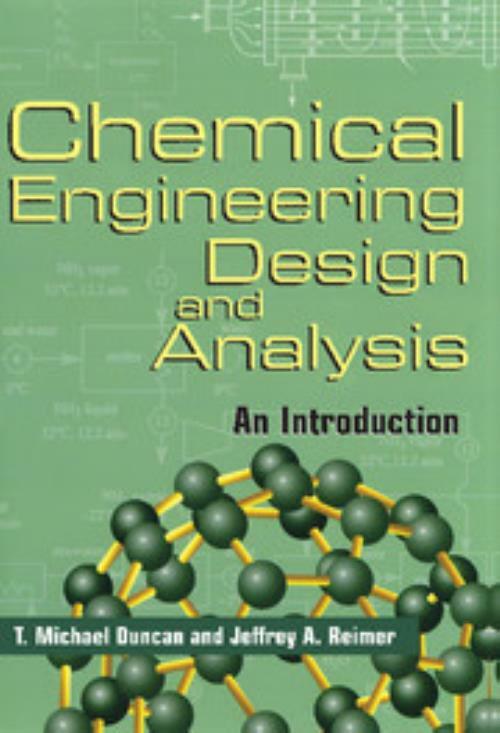 This 1998 text offers a well-paced introduction to chemical engineering. Students are first introduced to the fundamental steps in design and three methods of analysis: mathematical modeling, graphical methods, and dimensional analysis. The book then describes how to apply engineering skills, such as how to simplify calculations through assumptions and approximations; how to verify calculations, significant figures, spreadsheets, graphing (standard, semi-log and log-log); and how to use data maps. In addition, the book teaches engineering skills through the design and analysis of chemical processes and process units in order to assess product quality, economics, safety, and environmental impact. This text will help undergraduate students in chemical engineering develop engineering skills early in their studies. Lecturer's solution manual available from the publisher on request. 6. Transient systems; Appendices; Glossary; Index. T. Michael Duncan Cornell University, New York. Jeffrey A. Reimer University of California, Berkeley.